Interested in checking out Raleigh’s Oakwood Cemetery? Check on renting a Segway. Information can be found here. The Museum of the Albemarle is having a Civil War Living History Day on February 6th. You can learn more by reading this article. Interesting story about some veterans in this week’s Beaufort Observer – check it out here if you want a laugh. Yet another article about our friends in the 26th NCT and their work on preserving North Carolina’s Confederate flags can be found here. I live in Southern Appalachia, and my mom’s family has lived in Southern Appalachia since the mid-1700s. At times I write about Southern Appalachia, and I often speak about Southern Appalachia and the war. So with great interest, I searched around and found a used copy of the out-of-print book, Mountain Partisans: Guerrilla Warfare in the Southern Appalachians, 1861 – 1865, by Sean Michael O’Brien. The book has sections on guerrilla activity in western North Carolina, northern Alabama, eastern Kentucky, north Georgia, and West Virginia. Surprisingly, the book does not cover eastern Kentucky and southwest Virginia. During the war years, I had family in western North Carolina, north Alabama, eastern Kentucky, and southwest Virginia, so the absence of sections on these two states was a bit of a disappointment. I thought that we would spend a little time exploring what O’Brien has to say about western North Carolina. The section starts off with a snapshot of the Shelton Laurel episode as a segue into the area. On page 4, he writes that “Even in the mountains there was an initial flurry of patriotic support for the Confederacy, but this soon gave way to apathy as the war entered its second year.” Hmm, that “initial flurry” outpaced support for the Confederacy across the entire state, and the “apathy” was partly due to the fact that there were no more men left to give. The rest of Chapter 1 is spent on the Shelton Laurel massacre. 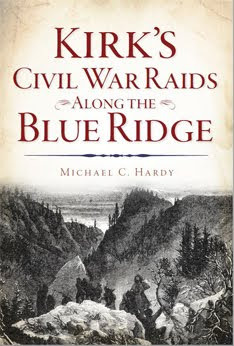 Chapter 2 starts with this: “In 1863, partisan warfare intensified in the western North Carolina mountains. Federal victories at Gettysburg and Vicksburg in July gave the loyalists hope.” I don’t really see what Gettysburg and Vicksburg have to do with partisan warfare in western North Carolina. I do understand that it hinged much more on Longstreet’s inability to recapture Knoxville, and his movement north. When Longstreet was attempting to lay siege to Knoxville, he sent some of his men into western North Carolina to gather supplies. These groups of regular Confederate soldiers kept many of the Unionists at bay. It is not until 1864 that partisan warfare really intensified. Part of Chapter 2 is spent on a Unionist by the name of Goldman Bryson and his activities against the Cherokee, and in Cherokee County, North Carolina, and in north Georgia. Col. George W. Kirk and his raid on Camp Vance near Morganton is covered in chapter 2, as are Keith and Malinda Blalock. Chapter 3 covers William H. Thomas and his legion, and part of Stoneman’s Raid. On page 33, O’Brien writes that Stoneman’s command reached Boone on March 28. “Stoneman’s men burned the county courthouse, the jail, and several other public buildings.” That’s not true. The courthouse records were burned, but not the courthouse. Some of Stoneman’s men who came into town to protect Stoneman’s line of retreat fortified the courthouse by cutting loopholes in the walls to use as gunports. 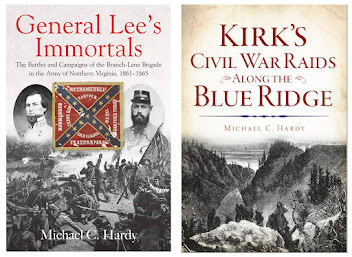 Chapter 4 dives into George Stoneman and his 1864 raid into southwest Virginia. Then we go back to Stoneman’s 1865 Raid into western North Carolina. The rest of Chapter 4 brings in a host of people not related to the war in western North Carolina: U. S. Grant, Rutherford B. Hayes, George B. McClellan. William S. Rosecrans, George Cook, John C. Fremont, William Quantrill, Felix Zollicoffer, E. Kirby Smith, John S. Mosby, Ormsby M. Mitchell, Don Carlos Buell, William T. Sherman… I guess this chapter is trying to tie in the partisan war in other areas. I kind of thought that was the purpose of the whole book. That ends the North Carolina section of the book. Mountain Partisans was released in 1999. You can buy it new for $72 on Amazon. I paid a little over half of that from a independent bookseller. I’m not so sure it was worth it. It would be difficult to express the amount of times I have wish I could talk to the old veterans of the war. Questions about positions, flags, uniforms, camps, and reasons would flow from my tongue. However, they are all gone, and have been gone for a very long time. Today, I give you an interview from Colonel Tate of the 6th North Carolina State Troops concerning the a visit he made to Gettysburg after the war, marking the position of his regiment during the fight. While my questions would be a little different, these nonetheless are informative, and I hope you enjoy. Colonel S. McD. Tate returned yesterday from Gettysburg battlefield where he has been since Thursday last to assist in locating the position gained by North Carolina troops during the memorable battle of July 1863. Colonel Tate was accompanied by Col. Thomas S. Kenan, of this city, also by Gen. W. Gaston Lewis, who went on his way to his home in Goldsboro. These three gentlemen, together with the three National Commissioners, Col. J. B. Bachelder, of Massachusetts, Col. Nicholson, of Pennsylvania, and Major Robbins, of North Carolina, were the only ones engaged upon the work in hand. “I remember those apple trees, because I had sat down under one of the, during one part of the fight. Then I found the point I sought without difficulty. “You want to know about that flag? No I did not take it personally from the man who was shot down while carrying it: I should not have disgraced my men by refusing them the honor. But they took it up one by one as each one fell until it was rescued and brought back to me. It was my men who did it,” the Colonel added with a mingled ring of modesty as to himself and pride as to his brave fellows. “Yes, they brought it back, and I kept it until three weeks ago, when I sent it Christian Reid, at Salisbury. The Salisbury Military Company had already asked me for it, but I could not think of sending it to them. The Colonel looked well and walked out of the hotel to his office in the Capital. PS – this is post #400!!! John A. Winslow – born Wilmington in 1811. Joined the US Navy and commanded the USS Kearsarge in its famous duel with the CSS Alabama. Later promoted to Rear Admiral. Joseph R. Hawley – born Stewartsville in 1826. Colonel, 7th Connecticut Infantry, Mustered out Bvt. Major General. Later Governor of Connecticut, US Congressman and US Senator. James Johnson – born Robeson County in 1811. Provisional Governor of Georgia after the war. Andrew Johnson – born in Raleigh in 1808 – Brigadier General, Military Governor Tennessee, Vice President, President, United States. William Spicely – born Orange County in 1823. Colonel, 24th Indiana Infantry. Bvt. Brigadier General. Henry H. Bell – born Orange County in 1808. US Navy – retired as a Rear Admiral. Edward Stanly – born in New Bern in 1810. Military Governor of North Carolina 1862-1863. Henry Lee Scott – born in New Bern in 1814. Colonel, Inspector General. Solomon Meredith – born in Guilford County in 1810. Colonel, 19th Indiana Infantry, Bvt. Major General. Jonathan Cranor – born Guilford County in 1823. Colonel, 40th Ohio Infantry, Bvt. Brigadier General. William Stokes – born in Chatham County in 1814. Colonel, 5th Tennessee Cavalry, Bvt. Brigadier General. Surprisingly, none of these men came from the western part of North Carolina, the part that is supposed to be so Unionist in its leanings. Thoughts? There were numerous objects presented to officers (usually) by their men. The men of the 1st NCST presented Matt Ransom a sword in 1861. Zeb Vance was presented a .31 cal. Colt pistol in December 1861 by the men of the 26th NCT. Brig. Gen. James H. Lane was presented a saddle, bridle, sash, and sword by his men toward the end of March 1863. In 1861, the men of the 1st NC Volunteers had presented Lane with a sword, bridle, saddle, and two pieces of plate silver. I have even read of uniforms being presented. Probably the most famous would be the gift of a uniform to Stonewall Jackson by JEB Stuart. The article goes on to state that the boot jacks came out of an attic in upstate New York. The author writes that he “figured that some Yankee soldier took it home as a souvenir…” An plausible idea is that Leventhorpe was forced to sell the book jacks when he was incarcerated after his capture at Gettysburg. That is a first for me – a presentation set of boot jacks. The N.C. Museum of History in Raleigh has one of the nation's largest collections of Confederate flags. Conservation of these banners requires specialized textile treatment, costing approximately $7,500 per flag. The 26th Regiment N.C. Troops, Reactivated, the state's largest Civil War re-enactment group, has helped fund this need. On Dec. 12, 2009, the group unveiled the newly conserved battle flag of the 47th Regiment N.C. Troops during a dedication ceremony at the museum. The 26th Regiment raised the funds necessary to restore this historic artifact. The 47th Regiment's colors were captured at the Battle of Hatcher's Run in Virginia on Oct. 27, 1864, by Sgt. Daniel Murphy of the 19th Regiment Mass. Volunteer Infantry. The flag was sent to the U.S. War Department in Washington, D.C., and returned to North Carolina in 1905. "Since its return to North Carolina in 1905, the battle flag of the 47th N.C. Troops has remained in storage and could not be displayed due to its condition," says Tom Belton, Curator of Military History. "With the support of the 26th Regiment N.C. Troops, who spearheaded a conservation drive, we can now include this important North Carolina artifact in upcoming exhibits. "This Confederate flag and others are being conserved in preparation for the N.C. Civil War Sesquicentennial. From 2011 to 2015, exhibits and programs will be presented in commemoration of the 150th anniversary of the Civil War in North Carolina. The restored 47th Regiment banner is an Army of Northern Virginia pattern with "47 NC" painted in the center. It was issued as a replacement for the regiment's colors captured by the 12th New Jersey Infantry at the Battle of Gettysburg. "This is the third flag project completed by the 26th Regiment N.C. Troops for the Museum of History," says Skip Smith, colonel of the 26th Regiment. "With the help of many individuals and groups across the state, such as 47th Regiment N.C. State Troops, Sons of Confederate Veterans (SCV) Camp #166 in Wake Forest, we were able to complete the fund-raising for this project. It is our honor to partner with the Museum of History to help conserve our state's battle flags." Gary Lee Hall, Lt. Cmdr. of the 47th Regiment SCV Camp, adds that many members of the 47th Regiment N.C. Troops were from the Wake Forest area. "We actually have one direct descendant of the 47th Regiment in our camp. We appreciate the opportunity to help with conservation of the flag and to honor the men of the 47th Regiment." The 26th Regiment has begun its 2010 Preservation Project: the battle flag of the 22nd Regiment N.C. Troops. The organization has inspired several other Civil War re-enactment and remembrance groups to adopt other flags in the museum collection. North Carolina Civil War Sesquicentennial interview. After our discussion last month about North Carolina and the upcoming sesquicentennial, I asked Chris Meekins at the Department of Cultural Resources if he would be interested in an interview about the plans of the Department of Cultural Resources. Please find below my questions and the DCR’s answers. I hope you enjoy. You can learn more about the sesquicentennial at DCR’s website. 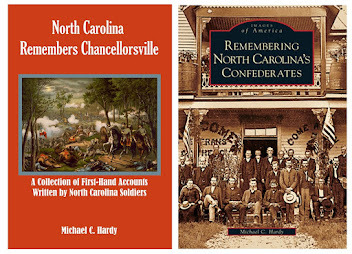 How will North Carolina’s Civil War Sesquicentennial differ from the centennial remembrance? There are many differences in the two events due to both the intervening history between the events and to the way in which the committees were organized. The first significant difference is that the Confederate Centennial Commission was a legislative creation and the North Carolina Civil War Sesquicentennial Committee is not. The authority of the sesquicentennial committee derives from the Department of Cultural Resources (DCR). As steward of many historical sites, objects, and records associated with the Civil War era, the DCR Deputy Secretary, North Carolina Office of Archives and History, Dr. Jeffrey Crow recognized the coming importance of the sesquicentennial and organized a committee to prepare the DCR for the commemoration. In 1959 (renewed in 1961), the General Assembly created the Confederate Centennial Commission; charging that body with planning and conducting programs to commemorate the centennial of the Civil War and the Assembly ordered the commission to cooperate when possible with individuals, unofficial organizations, and agencies of the federal government and other states. While the Sesquicentennial Committee will perform similar responsibilities as the prior Confederate Centennial Commission it does not have the mandate or charge of the General Assembly. Thus the North Carolina Civil War Sesquicentennial Committee’s authority is limited to the DCR proper. Major historic events and new approaches in the craft of History have expanded our knowledge and understanding of the Civil War era. New historical methodologies challenged the interpretation of the war and asked important questions about the home front, soldier’s activities, African American participation as soldiers and freedmen, and women’s issues. More recent historical interpretation seeks to understand the way memory and remembrance interacts with facts to create a particular understanding of the events in both place and time. Advances have also been made in presenting living history and historic site interpretation. Understanding the Civil War era in North Carolina is no longer regulated only to the experience of the soldiers in battle; it is no longer contained in the entirety by the old “Rebel Boast” of “First at Bethel, Fartherest at Gettysburg and Chickamauga, Last at Appomattox.” Understanding the Civil War era in North Carolina is a multifaceted approach to teaching the many and varied components that created, sustained, and challenged the state during the era. The names of the two committees reflect that change in understanding. Without question the focus of the centennial event was on North Carolina’s Confederate status. The Sesquicentennial Committee seeks to focus on the entirety of the Civil War experience and not just the Confederate heritage (which remains an integral component). To that end, the North Carolina Sesquicentennial Committee is planning many public events to expand (hopefully) the understanding of the war era. Three major conferences are scheduled and structured around the three interpretive themes of Freedom, Sacrifice, and Memory. Every state historic site that interprets the Civil War era has scheduled major and minor events throughout the sesquicentennial period including lectures, re-enactments, and living history days. The committee is committed to an open forum on the Civil War era. State museums are developing exhibits, workshops and teacher institutes (for renewal credit). The State Archives is planning talks, workshops, exhibits, and online presentations. Our hope is to provide stimulating and compelling educational opportunities for the public to explore North Carolina’s rich Civil War heritage. What message does the DCR want to get across to the people of North Carolina during the sesquicentennial? The Sesquicentennial Committee wishes to invite the people of North Carolina to explore their rich, diverse, and significant shared history. To that end Deputy Secretary Dr. Jeffrey Crow charged the committee to prepare appropriate and historically accurate activities which will bring understanding of the complex issues and events to all North Carolinians. The DCR encourages participation in the various planned programs. What areas of scholarship do the personnel of the DCR hope to see emerge during the sesquicentennial? The DCR personnel are committed to remain up to date with current trends in historical analysis and reflect those approaches when presenting any historical interpretations to the public. 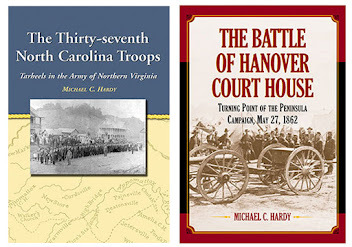 Such recent trends include (but are not limited to) the study of Memory, guerilla warfare, soldier’s experience, Confederate nationalism, home front experiences, women’s studies (such as the development of political power through Ladies Aid Societies), and the African American experience (including United States Colored Troops, Emancipation Proclamation, free blacks and slaves in the Confederate forces). 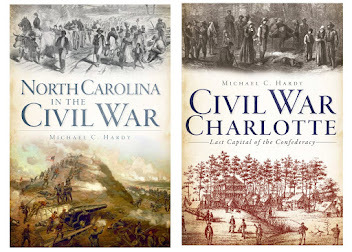 In addition, it would be worthwhile to revisit studies of battles, brigades, generals, and statesman - the familiar Civil War stories which continue to inform us about the Civil War era. What can local folks in the communities around the state do to make sure that the sesquicentennial is remembered where they live? The biggest thing that local people can do is to become involved and engaged to ensure that the Civil War sesquicentennial is remembered where they live. 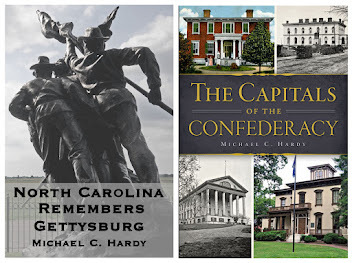 There are endless opportunities for such groups as local history groups, genealogy groups, heritage groups such as the United Daughters of the Confederacy, Sons of Union Veterans, and Sons of Confederate Veterans, to have educational forums, speakers at their meetings, coordinate local history days, etc. Citizens should consider forming Civil War 150 committees for their municipality and or county that would plan and execute activities that would resonate with local constituencies. Keeping in mind that these activities should seek to draw a wide audience and be based in objectivity and sound scholarship. It may help the local committee in planning by using the three themes – Freedom, Sacrifice, Memory – as touchstones in their activities. 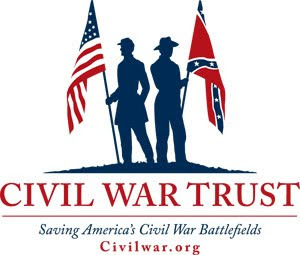 In addition, local committees can draw resources from the NCCivilWar150.com web site. The DCR, and in particular the North Carolina Civil War Sesquicentennial Committee, stands ready to assist local groups who ask for such aid. However, the impetus for such commemoration must come from a local source. The DCR is planning regional activities within the frame work of its Historic Sites, Museums, and the Archives but is not authorized to go beyond the bounds of the agency. And along those lines, would the DCR be interested in partnering with or supporting other civic, historical, economic, and other organizations across North Carolina in an effort to expand the understanding and appreciation of the American Civil War? The role of the DCR Civil War Sesquicentennial Committee is to plan events to promote and further the public understanding of the Civil War era. The committee is both empowered and constricted in being only an agent of the DCR (rather than a mandate from the General Assembly). On a limited basis the committee is partnering with entities and or institutions when such a partnering furthers the DCR’s outreach and educational goals. In all such instances (for example, two of the three symposia are partnered with academic institutions as host schools) the Civil War Sesquicentennial Committee retains control over the event (content, promotion, etc.). The best way for the DCR to assist civic groups is to remain, for the most part, in an advisory capacity. When opportunities arise for partnering the committee will review such opportunities and make recommendations for a course of action (partnering, advising, etc.). Here we are entering the second week of January, and I guess it is time to have a look around at headlines related to the War and the Tar Heel State. The 13th Annual Confederate Prison Symposium will be held in April this year in Salisbury. You can check out a list of the speakers here. The Winston-Salem Journal has a review of Richard Reid’s new book, Freedom For Themselves: North Carolina’s Black Soldiers in the Civil War Era. Check it out here. There are numerous events going on in the Fort Fisher area commemorating the 145th anniversary of the battle. You can find more information here. On January 14, there will be a screening of “Civil War Letters of Macon County” at the Jackson County Genealogical Society. You can get more information here. UNC Greensboro is sponsoring a exhibit entitled “Forever Free: Abraham Lincoln’s Journey to Emancipation” from January 25 until March 5, 2010. You can learn more here. Readers and researchers can now access one of North Carolina’s war-time newspapers through a new search engine put out by the state. This is a part of the N. C. Digitization Project. You can learn more about the program here. Pretty remarkable, considering how many soldiers, during the war, simply got wrapped in a blanket and buried in a grave with someone else. Happy New Year! I meant to post this a couple of days ago, but between the snow, ice, loss of power, and trips to see in-laws and parents, I just never got around to it. I’m home now, and have electricity. But it is still cold, about eight above as I sit and write at 8:30 this morning, and they are saying that this weekend will be colder than the last. I do hope you had a great Christmas and New Year season. 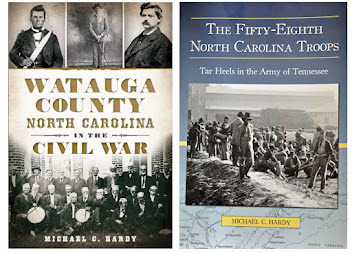 I have many great things to share this year, including interviews (which I have only done infrequently), book reviews, news reports, and observations about the Old North State and the War. I hope you enjoy.